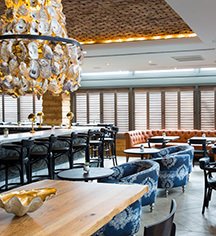 The Pearl at the Sam Houston Hotel is a coastal-inspired restaurant with a passion for seafood and steak. Wrapping the corner of Prairie and San Jacinto streets, the restaurant is right in the heart of the growing Central Business District of Downtown Houston. This historical 1924 landmark offers an impressive bar with a chef-driven menu serving up its inspired take on Texas cuisine. 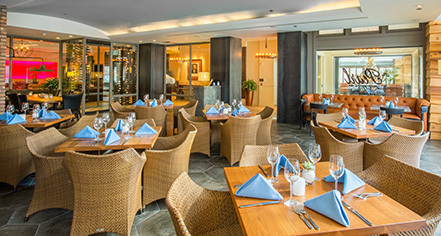 Stop by for a cocktail, lunch, or dinner and taste coastal comfort in the city.